On 29th September a project that we created was featured on Channel 4’s Gadget Man. 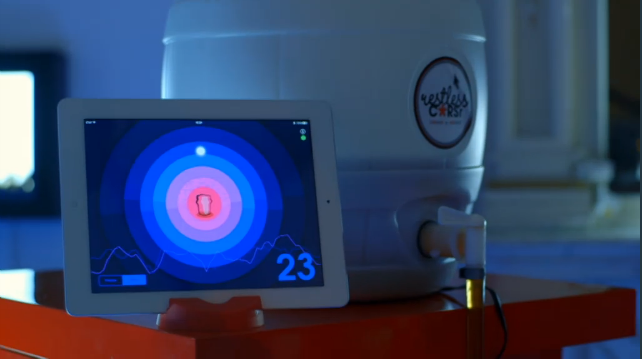 Our ‘Head to Head’ project, as we call it, is a clever device that allows you to pour beer with brainwaves. It’s so clever, in fact, that it recently won us a blue sky BIMA award. Don’t worry if you missed it, the episode is now available on 4oD, and if you don’t fancy watching the whole thing then you can skip to 19.55 minutes to see our feature. If you like what we do and want to find out more about us, get in touch. If you’re looking to drive digital innovation in your sector, or just want to enhance your brand in the digital age, we’d love to chat to you about how we can help exceed your expectations. Feel free to contact us and we can take you out for a drink – and we won’t make you pour it with your mind! If you’re interested, please just drop us an email at hello@redweb.com or give us a call on 01202 779944 and we can arrange an informal meeting to expand on how Redweb can support you.